Most if not all girls usually assume their wedding day to be solely theirs even if some groom think otherwise. Yet they aren’t able to conceive the fact that planning a wedding take a lot of creativity, effort, time and money. Of course, they aren’t the ones dreaming about their wedding day ever since they were young. Stunt proposals (usually in public) are not the way to go as they might go viral for all the wrong reasons. You might make it awkward for the person or you might be denied. It’s better to be discreet with this and even get the whole ‘event’ shot by a photographer or videographer in secret. In fact, you can look for ideas from your partner’s parents. One last thing: don’t do this at the wedding of a friend, colleague or a relative. The first thing that you should consider is whether you even need one. They’re usually worn after 6 PM. So, if it’s a morning or afternoon wedding, then you should go with a morning suit. 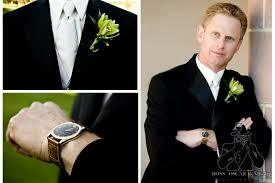 If you are going to need a tux, then it’s better to invest one rather than renting it out. This is especially if you think you will probably use it again. In most cases, men are not sure how to go about getting a tux. Make sure you ask questions and understand works before you buy one. The groom usually has friends that he has spent his Life with raising hell. One way to curtail that happening at the wedding is to tip the bartender so things don’t get out of hand. Also, grooms should rely on their best men to deal with unruly or awkward people. Without a doubt, there will be some madness to deal with. But not on your wedding day. As for the groom, he should avoid drinking with his buddies on his wedding night.